On Sunday in Bishoftu, in the Oromia region, just 40km south-east of the capital, the protests grew out of the traditional Irrecha religious festival, where an estimated two million people were gathered. Community elders seen as being allied to the government were prevented from speaking, and the police responded violently, causing a stampede which saw dozens of protestors fall to their deaths from cliffs. While in many media outlets, the focus is on ethnic tensions between the Oromo people (the single largest ethnicity in the country) and the Tigrayan minority, this doesn’t give us the full picture. The reality in Ethiopia is one of extreme food insecurity, which has been made worse this year by failed rains, with between 50 and 90 per cent of crops lost in some regions. The government itself estimated that 4.5 million people were in need of emergency food assistance in August, while UNICEF puts the total figure of people in need of humanitarian assistance in the country at over 10 million. 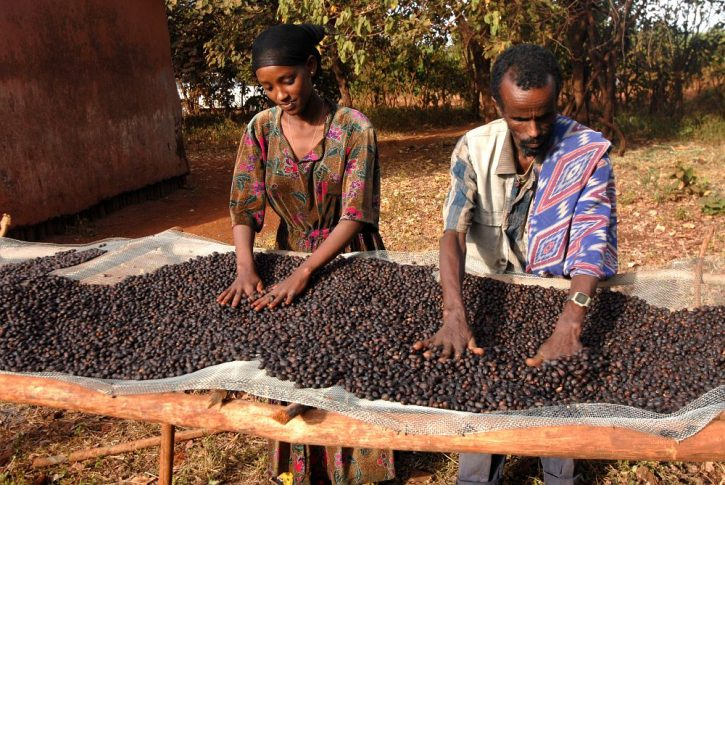 The importance of agriculture to the Ethiopian economy cannot be underestimated: over 80% of the workforce are directly employed in it, and it account for a similar amount of the country’s exports. The desire to increase the latter at the expense of the former threatens to make matters much worse. The government would particularly like to increase sugar production, and has announced its desire to be one of the top-ten sugar producers in the world by 2023. Such plans could mean more mass displacement of indigenous peoples, further exacerbate interethnic tensions and cause further migration out of the country. One of the drivers in this new direction for the Ethiopian government is Chinese investment, which totals more than $20 billion since 2005. The Chinese-built railway linking the capital to the port of Dijibouti has been built for freight, not passengers: it’s for taking Ethiopian exports out of the country. Making a profit from industrial agriculture will require a large-scale shift in the economy (read: land grabbing), as 95% of agriculture in the country is still run by small-scale family farms, though this figure is being slowly eroded over time as the government seeks to sell off land to foreign investors. As part of its so-called development program, the government has earmarked more than 11 million hectares of land for foreign investment, talking of it as “potential land” as if it were not being currently used by pastoralists. The government’s official line is that foreign investment will lift the population out of poverty, but the truth is that many will be denied access to their ancestral lands, and forced to work for the new owners in order to stay there. The Ethiopian government has the backing of the UK, the European Union and the World Bank in this endeavor, which the BBC reports will create “100,000 jobs” on two new industrial parks. But at what cost? At the men’s marathon in the Olympic games in Brazil, the silver medallist Feyisa Lilesa crossed his arms above his head both as he crossed the finish line and again at the medal ceremony, in protest at the government’s actions. “The Ethiopian government are killing the Oromo people and taking their land and resources so the Oromo people are protesting and I support the protest as I am Oromo. My relatives are in prison and if they talk about democratic rights they are killed. I raised my hands to support with the Oromo protest.” After the games, Lilesa did not return to Ethiopia, and is seeking political asylum in the United States. Slow Food believes that the land belongs to the people who work it with love and care. We will continue our work to support small-scale farmers in Ethiopia through our Presidia in the country and 129 gardens helping people to grow their own food, and speak out in support of people who are fighting for their right to live and work the land in peace. 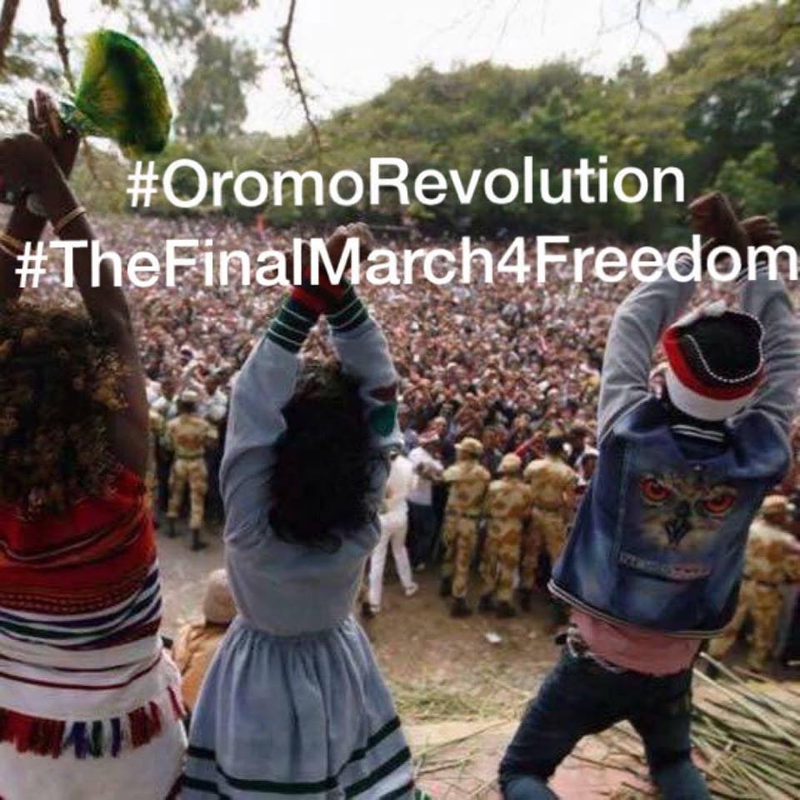 Posted by OromianEconomist in #OromoProtests, Africa, Ethiopia's Colonizing Structure and the Development Problems of People of Oromia, Afar, Ogaden, Sidama, Southern Ethiopia and the Omo Valley, Ethnic Cleansing, Oromia, Oromo. It is important to situate the recent Oromo students’ protest within the historical context of students’ dissent in Ethiopia. 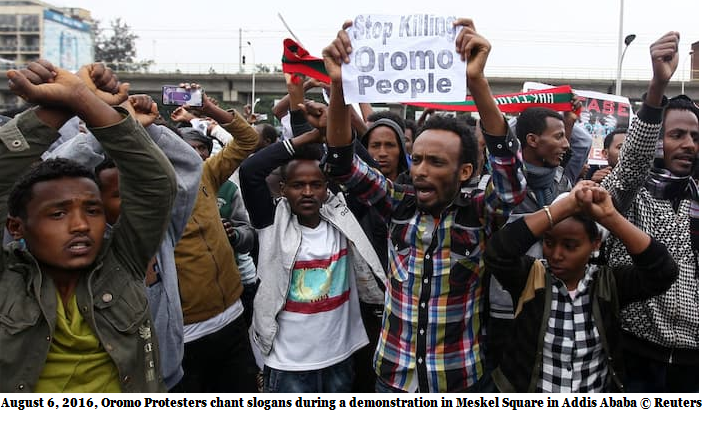 The wave of protest that swept through Oromiya, Ethiopia’s biggest and populous regional state, bears a striking resemblance to the 1960s Ethiopian students’ protest, which culminated into the 1974 revolution that brought down Africa’s last standing Emperor, Haile Sellasie I. It was a revolution that changed Ethiopia’s land tenure system for good. Like the 1960s, the issue of land ownership has fueled the current students’ protest across the entire Oromiya region; as in 1960s, political repression, drought and cover up of the ongoing severe food shortage that is affecting more than 20 million Ethiopians have created fissures in the political system and anger among the general public. The current Ethiopian Constitution is by and large one of the legacies of the 1960s students’ movement. Adopted in 1995, the constitution pledges that ‘Land is a common property of the Nations, Nationalities and Peoples of Ethiopia and shall not be subject to sale or to other means of exchange.’However, the regime in Ethiopia owns every inch of land and has been relentlessly taking away huge swathes of it from farmers under the guise of public purpose, only to sell it to investors. Series of legislations have also made tenure security of farmers vulnerable to the state’s needs over their land. Moreover, the adequacy and fairness of the amount of compensation paid for displaced farmers when the state expropriates their land remains questionable. Several reports and researches indicate that since 2005 alone hundreds of thousands of mostly Oromo farmers are displaced from their lands to make way for sprawling Addis Abeba. They have subsequently become either daily laborers or beggars in the streets of Addis Abeba. The Oromo protest in this context is not just an opposition to urbanization or infrastructure construction as the regime’s propaganda machine, led by state owned and affiliated media, kept on reciting it; but it is based on a lived experience of anger, desperation and anxiety with the growing trend of repression and displacement. The two previous regimes in Ethiopia were excessively repressive and dictatorial in their nature. During their sixty years of combined rule the politics was selectively distributive in which only a few elites had access to state resources. When the current government came to power in 1991 it reconfigured a century old unitary political system into a new federal political system, taking ethnicity as a primary informer of the federal system. But slowly the politics of a federated Ethiopia once again transformed itself into the politics of protecting a select, centralized few elites. Far from being federal, as the name says it is, the system started gravitating around a few political elites who have access to make or influence polices; they resorted to establishing a profoundly clientelistic centralism, bent almost entirely upon elites of one ethnic group. Consequently, all the major and key parts of state institutions – army, air force, police, and intelligence, among others, have come under private hands of members of the Tigrayan People Liberation Front (TPLF), one of the four coalition parties that make up the ruling EPRDF. As a result political and bureaucratic institutions have become formal instruments for accumulation of wealth and power that benefits a select few elites who are either members of this party or have access to its network. However for much of the last 25 years, the central government’s led rhetoric has been about perceived notion of doing away with ethnic suppression and ‘peripherality’ among the Oromos and previously marginalized groups of the wider south. While the start of such rhetoric might have served to empower some of the previously marginalized groups, regional states such as Oromiya and Gambella have never been able to achieve their full independence as stipulated in the constitution; they are neither free to use their resources such as lands as they wish, nor take autonomous positions that represent their interests, especially if the power play at the central government considers those interests threatening to its excess. The growing indignation of many Ethiopians is not so much about the repression under this regime as it is about government’s relentless investment in political propaganda to appear democratic. Unlike the previous two regimes the current government preserves some of the formal aspects of democracy – elections, the concept of multi-party system, a national assembly, or a constitution – just to undo all by deploying systematic technicalities of statecraft. To make matters worse it also boasts extraordinary economic growth and managed to portray itself as the champion of the fastest growing economy. The truth is, however, like in the 1960s millions of Ethiopians are unable to feed themselves once a day and are hungry again; like in the 1960s millions of Ethiopians are unable to tolerate the economic marginalization in favor of a select few who have managed to build tight political and economic patronage network; and like in the 1960 millions of Ethiopians (this time led by Oromo students) are on the streets saying no to the cumulative results of the ongoing state led political mortification. And like in the 1960s no amount of state propaganda will cover it up. Karuturi had taken over land that the Ethiopian state had sold off as part of a controversial program in which the government leased 3.3 million acres of farmland to foreign investors after allegedly displacing some of that land’s original tenants. A January 11th Bloomberg News story hints at a huge problem the country might be facing moving forward. Tiksa Negeri/ReutersWomen mourn during the funeral ceremony of Dinka Chala, a primary school teacher who family members said was shot dead by military forces during a recent demonstration, in Holonkomi town, in Oromiya region of Ethiopia on December 17, 2015. The EPRDF regime is dominated largely by elites from the Tigrayan and Amharic ethnic groups. But its rule depends on a baseline of inter-communal harmony — just as it depends on the appearance of progress and economic growth. Tiksa Negeri/ReutersA worker works on the electrified light rail transit construction site in Ethiopia’s capital Addis Ababa, on December 16, 2014.As with Karuturi’s apparent ejection from the country, the contradictions of trying to build a robust economy without genuine political freedom or basic transparency are manifesting themselves. But with the Addis plan, the stakes are much higher for the regime. Appeal Letter To US State Department by Five Civic Associations In Washington DC and North America. As a matter of fact, Addis Ababa itself is the heartland of Oromia and integral part; and should serve the federal government as headquarters while remaining under the full administration and ownership of Oromia State. Carving out Addis Ababa from Oromia and putting it under the jurisdiction of the federal government is weird and has no contemporary parallelism in the world. Washington, DC or Moscow is not under the jurisdiction of the federal government. The motive of the TPLF government is sinister to deny Oromo ownership and expropriate the city for the benefit of their Tigrian cronies. This scheme leads to permanent conflict and destabilization. Despite these historical, natural, constitutional and economic rights, Oromia regional government is devoid of any decision making process over Addis Ababa administration. 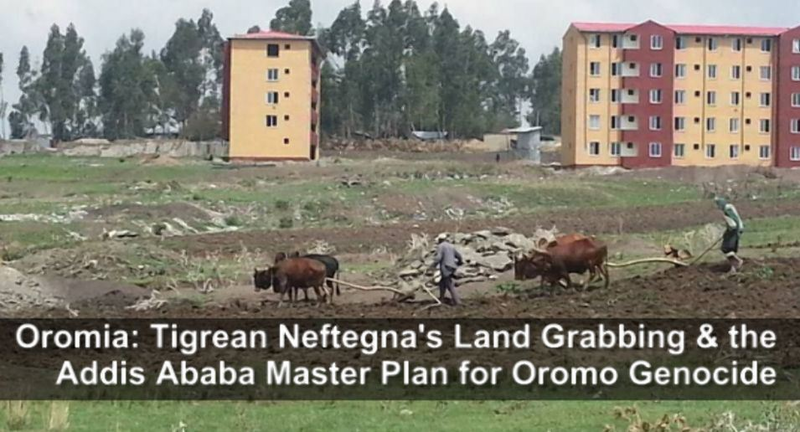 Generally, the current so called Integrated Development Master plan violates the Oromia constitutional rights. 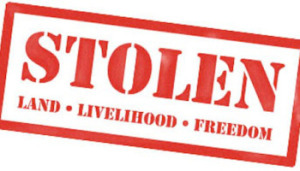 The ultimate decision is in the hands of the TPLF (Tigre People Liberation Front) leaders whose interest is to exploit the land and resources, loot Oromia and destroy Oromo identity. As different mass media outlets are streaming, the Oromo people in general and students at all levels are currently protesting against the implementation of the plan to expand the city of Addis Ababa into the neighboring Oromo farmers land, which not only displaces millions of Oromo farmers from their ancestral land, but also causes loss of Oromo culture, history and identity. The response by the dictatorial bloodthirsty minority government of the TPLF is shooting to kill, beating, imprisoning and torturing of the peaceful protestors as usual. 8 students were shot dead, thousands wounded, beaten, jailed, disappeared. The tyrannical regime is trying to silence the demand of the people by killing, harassment, imprisonment and torture. The continued massacre of students and civilians is part of the grand scheme to annihilate the Oromo people and expropriate their land and resources. The late Prime Minister Meles Zenawi said a couple of years ago, while he was alive,” the majority will be diminished into a minority.” That remark reflects deep rooted objective of annihilating Oromo, which the current TPLF leaders are bent to implement. Currently, about 90% of political prisoners in Ethiopia are Oromos. The former Defense minister stated that all prisoners speak Afaan Oromo (Oromo language) after released from prison indicating the huge number of Oromo prisoners. It is puzzling to fathom the strategy of reducing 40% of the Ethiopian population to minority unless one thinks of genocide. Generally, a war of attrition is being waged by the TPLF government against the Oromo people. The trend is dangerous. The Oromo demand deserves timely and appropriate response. Oppression leads to violent response. What is being perpetrated against peaceful demand and protest is the concern of the 40 million Oromos not students only. Accordingly, the Oromo Community Organization (OCO) of the Washington Metropolitan Area, the Oromo Youth Self-help Association (OYSA), the International Oromo Women’s Organization (IOWO), the Macha Tulama Association (MTA), the International Qeerroo Support Group(IQSG), and the Oromo Community Association in North America (OCO_NA)are writing this joint appeal letter to you to express our deep concern and outrage about the current massacre of Oromo students all over Oromia by the federal police and army of the TPLF/EPRDF Ethiopian government. While more numbers of fatalities are still coming in and the exact number is hard to be known due to the denial of access by the government for local and international journalists. We have known through our contacts that more and more reports of death are coming every day. Moreover, hundreds are severely wounded by live bullet and other thousands are rounded up and thrown into jail. Given the history of brutality of the current regime in Ethiopia, also those in jail are feared to be tortured or even secretly murdered in their prison cells. It is so sad that such heinous crimes are repeatedly happening to the Oromo students and civilians. The massacre of more than 70 students on April 30 and May 1, 2014, took place when you were making official visit to Ethiopia. While you were in Addis Ababa, dozens of students were being massacred in Ambo, just 80 miles from your site and yet the Ethiopian government media behaved as if nothing had happened. It was only the BBC that exposed the genocidal killings, and other West media kept silent. This is the government that the U.S. Government is giving financial and economic aid and maintains intelligence and military “cooperation” with. 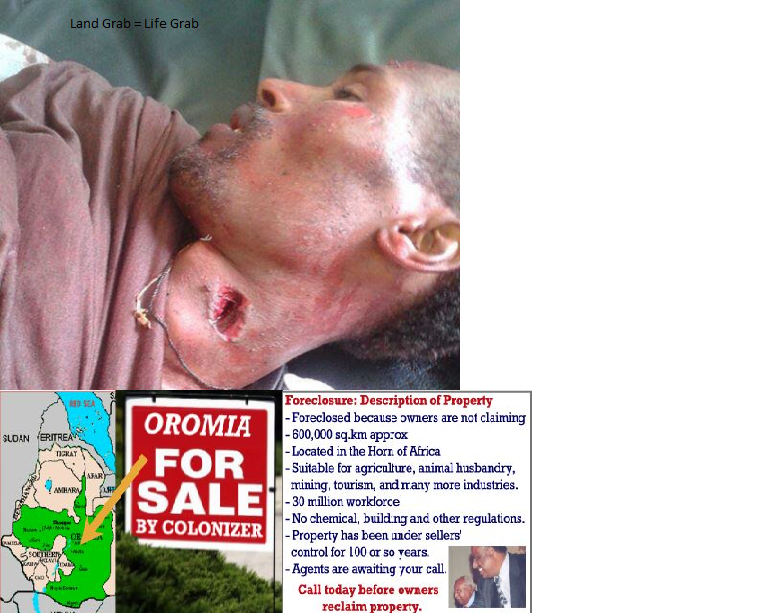 The U.S. military support is used to kill Oromos and others who demand respect for their democratic and human rights. Last year, we protested against the brutality of the government and submitted letter of appeal to address the problem and we also briefed the State Department staffers by appointment. We showed to the staffers videos of graphic atrocities. But nothing has been done. No member of the criminal regime has been brought to court of justice. We are observing criminal governments brought to ICC from former Yugoslavia, Kenya, Congo Democratic Republic, Rwanda, Liberia and others. We don’t understand why the criminal TPLF government is allowed to move with impunity. Because of unrestrained criminal activity, the government has continued to massacre the Oromo people, grab their lands, plunder resources, harass and imprison. The consequence of the unabated killing of citizens with impunity by tyrannical governments will be regrettable as we can see in many countries facing similar situations today. Stitch in time avoids big crack. Oromo life matters!! The TPLF minority regime is hoodwinking the West by wearing the veil of progress and development. But the reality is the dirt under the veil. While the TPLF regime is boasting of 12% annual economic growth, 10 million Ethiopians are exposed to hunger and famine according to their appeal to the 2015 World Climate Conference in Paris for food aid. This shows the growth propaganda is commercial. But they blame climate change. Climate change is not earthquake that happens abruptly and cause hunger and famine. The main cause of the famine is land policy and mal administration. Land is expropriated by the TPLF government which they distribute to the Chinese, Indians, Saudis, Turks, and others freely for hidden quad pro quo. 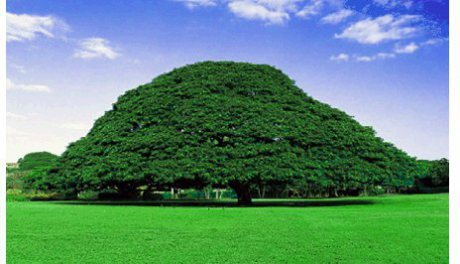 TPLF is sole land lord in the country. We recall the infamous hanger of 1973 which dethroned Emperor Haile Selassie and abolished feudalism. The 2015 hunger also should have consequences. of the US State Department and the White House. The plan is a land grab disguised in development. It is designed to kill the Oromo generation. There is no legal or social justification to include this small cities and provinces under Addis Ababa city administration for development. The principle of integrated regional development does not infringe on the geopolitical entity of the regions. As we can see here in the United States, integrated development among the District of Colombia-Maryland-Virginia does not in any way, encroach on the entities of the states. We do not see any reason why the model cannot be applied in Ethiopia, unless it is for sinister motive. It is illegal to curve out urban centers and bring under the federal government. It is a big scheme to destroy the remaining faint light of federalism and put the county in chaos. There is no track record where the federal government controls the urban centers exclusively. This dictatorial regime is leading the country to disaster. It should be stopped before long. • Demand an immediate stop to the unlawful so called “Integrated development master plan” implementation and the unlawful eviction of Oromo farmers and the illegal selling of Oromo land under the disguise of such “development”. • Demand the cancellation of the establishment of centralized Urban Development Commission to be implemented by the federal government. • Demand that an independent commission be appointed to investigate the mass killing in Oromia regional state and look at the prison demography. • Demand the unconditional and immediate release of Oromo students who are jailed for exercising their constitutional right and all political prisoners languishing in jail for several years. • Demand that the regime to commit itself to the respect of human rights and allow freedom of expression and assembly and making a peaceful protest. • Demand Ethiopian perpetrators of mass killing be brought to ICC similar to criminals in other countries. Board Chairman, Macha-Tulama Cooperative and Development Association, USA, Inc.